Betsson – Cosmic Eclipse Free Spins! Earn your Free Spins on the new game! Get up to 50 Mega Free Spins on the new exclusive Netent game! The Betsson Group is well-known to release exclusive slots from a range of top game providers. Wolf Cub was the last one from Netent that they had exclusive for six month before it was released globally. Ans just before Christmas they are proudly announcing their next joint creation with the Swedish studios, Comsic Eclipse, a 10-pay lines video slot due for launch on 12th December 2017. To celebrate to joyous occasion, Betsson is giving players from selected countries the opportunity to earn Free and MEGA Spins on the new game, simply by wagering on any of their slots until release day. 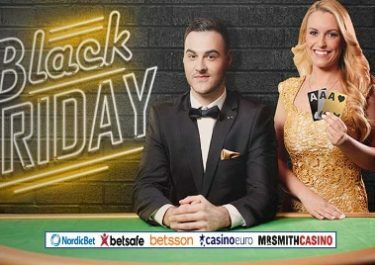 4th – 10th December 2017: Live Casino Mayhem – Do not forget to participate in the Live Blackjack and Live Roulette tournaments to race into the TOP200 of each tournament and win cash prizes of up to a whopping €150,000. Score points for wagering, hitting Blackjacks, winning side bets or equalized points on Live Roulette. Exclusive for players from Finland, Germany, Iceland, the Netherlands, Norway, Peru, Poland, Sweden and Switzerland. Celebrate with Betsson the launch of their new exclusive game Cosmic Eclipse from Netent to receive guaranteed Free Spins. Start playing on any slot or video slot until midnight on 11th December 2017 and a defined amount of Free Spins based on the total wagered amount will be waiting on Cosmic Eclipse on launch day, 12th December 2017. Wager minimum €25 | €50 on slots – Get 10 | 25 Free Spins worth €0.10 each. Wager minimum €200 – Get 25 Free Spins worth €0.50 each. Wager minimum €500 – Get 50 MEGA Free Spins worth €1.00 each. Only one amount of spins per player, credited by 18:00 CET on 12th December 2017. Spins must be used by 23:59 CET on the same day. 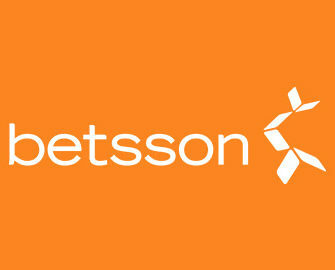 Wagering requirement is 25x FS winnings within one day, subject to the Betsson bonus terms and conditions.